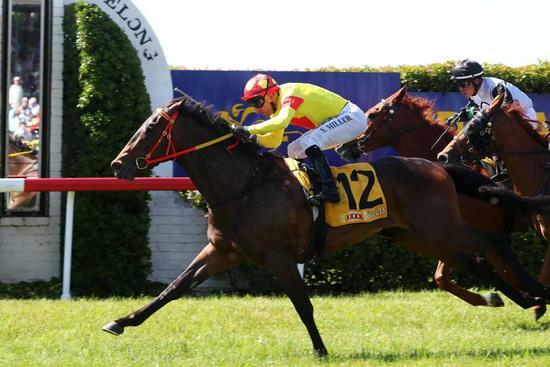 Mookareena has descended on her rivals to claim victory in the Class 1 Handicap at Gundagai on the first day of the Carnival. Racing first-up since a successful two year old preparation earlier in the year, the daughter of Shamus Award circled the field five wide on the turn before letting rip under Simon Miller to win by a comfortable 0.7 of a length. Owned by some loyal clients of the stable, no doubt that'd be pleased to see her take it to the next level as a three year old. Given the one trial leading in, Mooka still has plenty of improvement to come as she begins her work through the grades.